When it comes to moving house, many people think that professional removal companies are only suitable for large houses. This needn't be the case. In fact Blackhall Moving & Storage are experts in small Edinburgh removals. Why settle for less when you can enjoy our fully insured, no hassle removal service. We'll even provide all the boxes you need to pack! For a FREE no-obligation quote, call us on 0131 235 2525, email info@blackhallmoving.co.uk. You can also use our online quote tool. Edinburgh is a city full of flats; from the fine Georgian New Town and stone tenements that fill the city centre, to the modern apartments that are popping up in every space in between. This has made us experts in small removals, and the challenges that come with moving large items of furniture down flights of stairs and through tight doorways. While a 'man with a van' might offer a cheap removal service, it is worth considering some of the factors that make small removals a specialised task. Above anything, Blackhall Moving & Storage will give you the peace of mind that comes with knowing your move has been expertly planned. No matter how big or small your request, we can guarantee our absolute commitment to professionalism, value for money and customer satisfaction on all of our removals. Why not use our quote tool to get a free estimate, or call us on 0131 235 2525. If you are flexible about when you need your items delivered to your new address, our part-load removal option can save you a lot of money. Part-load removals allow you to share a vehicle with another customer who also doesn't have the need for a full delivery lorry or van. This works particularly well for long-distance removals. We can pick up your items and hold them in our storage facility before sending your belongings with another load down South or up North for instance. You will receive a massive saving if you only need to move a small amount. 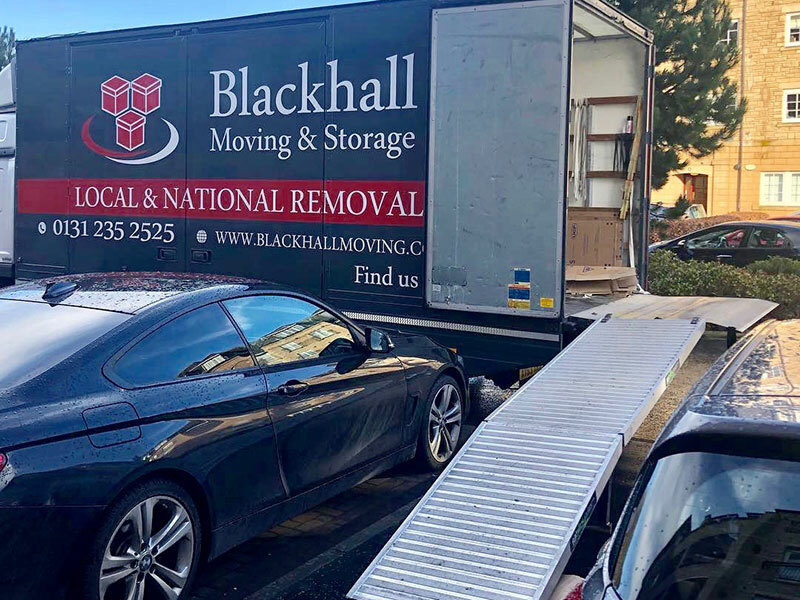 Call us on 0131 235 2525, or email info@blackhallmoving.co.uk for more information.